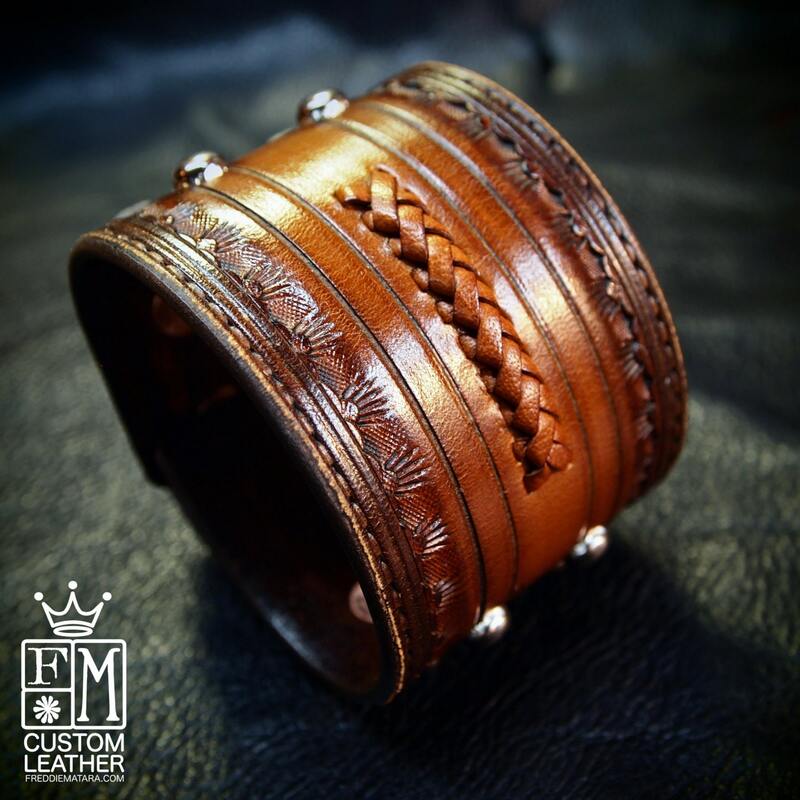 Brown Leather cuff bracelet : Classic Old West Vintage style. Rock and Roll, Country Soul. 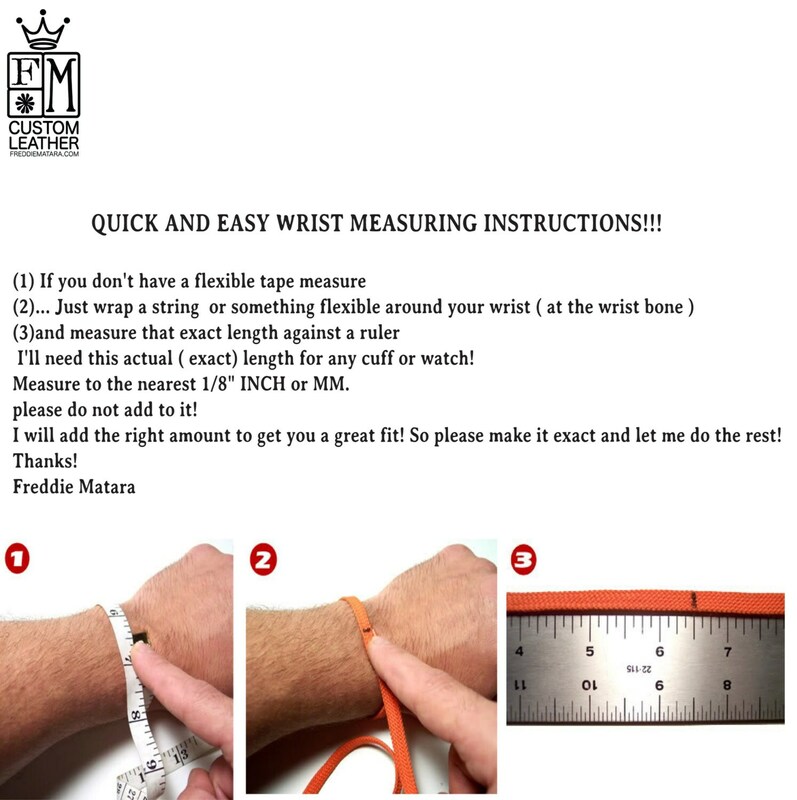 Hand Made in New York! 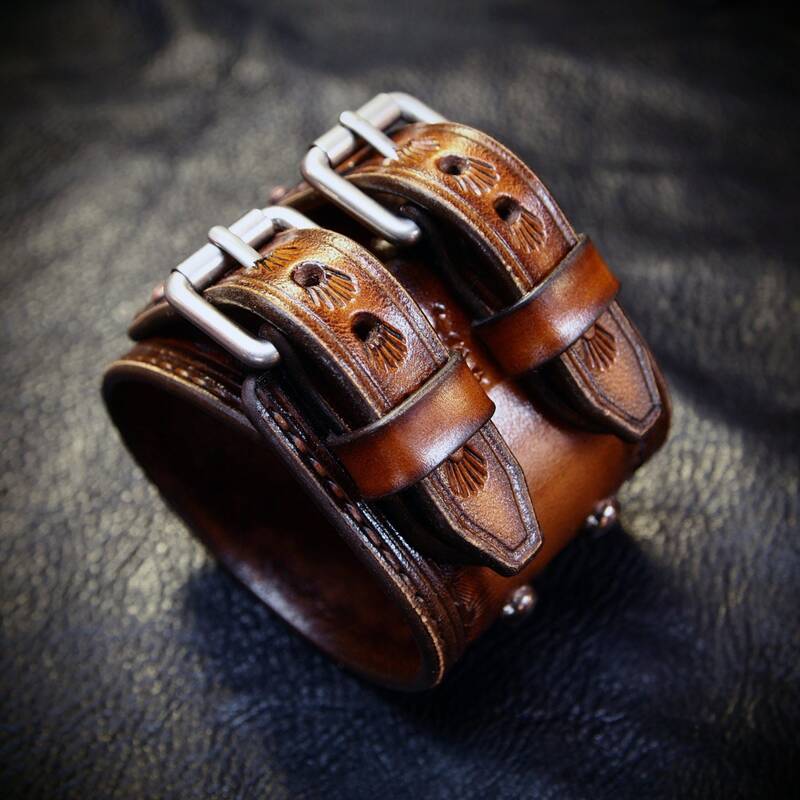 This Brown leather cuff starts as a hide of fine natural vegetable tanned leather. It is hand dyed in a custom brown burnished fade finish! 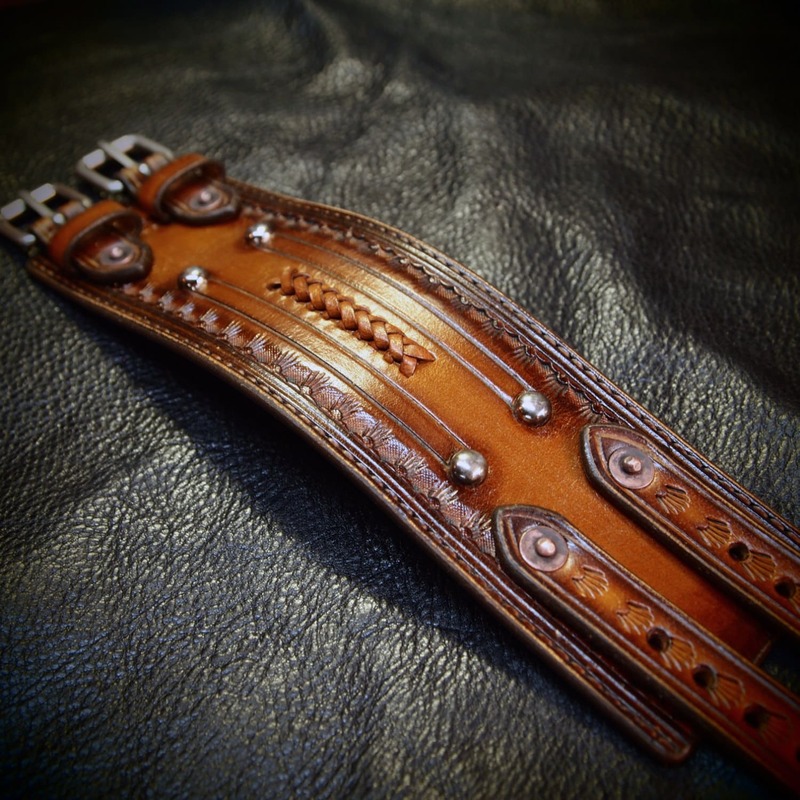 It is lined in smooth calfskin and has scribing, aged spots and a beautiful leather lace braid running the center. 2 hand aged roller buckles provide the closure.